Take great care of your heart and your heart will take care of you! Remember, an ounce of prevention is truly worth a pound of cure. 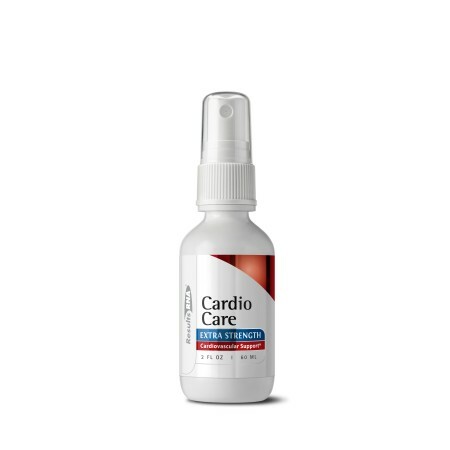 Cardio Care? Intra-oral spray is an exceptional nutritional formula for cardiovascular health and support. Be serious about the health of your heart. Heart Disease and high blood pressure are in the top five causes of death in this country affecting men and women. To maintain a strong heart and healthy cardiovascular system, exercise, eat right, relax, enjoy life and take your Cardio Care?. Your heart will thank you for it. No more capsules or pills. Creative Concept Labs? Intra-oral sprays are a new age in supplementation. Just spray, swish and swallow. Cardio Care? has a mild, pleasant taste with a hint of natural mint. Cardio Care? Intra-oral spray is an exceptional nutritional formula for cardiovascular health and support. For best results, use Cardio Care? with ACS 200? Extra Strength and ACZ nano? Extra Strength to achieve optimal cardiovascular health and total body detoxification. Simple to use, just spray, swish and swallow. Cardio Care? has a pleasant taste with a hint of natural mint. Formula derived using a proprietary selective nutrient extraction process with ultra-distilled water, Peppermint Leaf (Mentha x piperita), Dandelion Leaf (Taraxacum officinate), Cornsilk (Zea mays), Juniper Berries (Juniperus communis), Hawthorn Berries (Crataegus laevigata), Garlic Clove (Allium sativum). Take Elocare? Cardio Care? with ACS 200? Extra Strength and ACZ nano? Extra Strength to achieve cardiovascular wellness and total body detoxification. Cardio Care? is produced under strict GMP manufacturing controls in conformance with guidelines for dietary supplements set forth in USP XXVII. For purity and quality, Cardio Care? contains no preservatives ? no alcohol ? no artificial coloring or flavoring.